We are proud that we continue to represent our very first client which came to us more than 30 years ago. For us, this is an example of our dedication to our clients and their continued trust in us to provide them with skilled and personal legal representation in the areas of family law and business law. 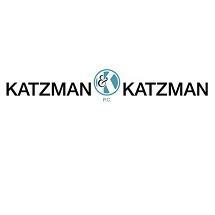 Katzman & Katzman has been awarded by Martindale-Hubbel an AV rating, which is the highest rating a law firm can receive. Whether representing individuals, families, or large business clients with significant financial interests, our commitment to client service is the same. We adapt our practice and our approach to suit your case, needs and expectations. Founded by a husband and wife legal team, our office has grown over the years to be a true family operated practice. We blend the credibility of a highly experienced and professional legal organization with a personal approach of treating our clients with respect and compassion.